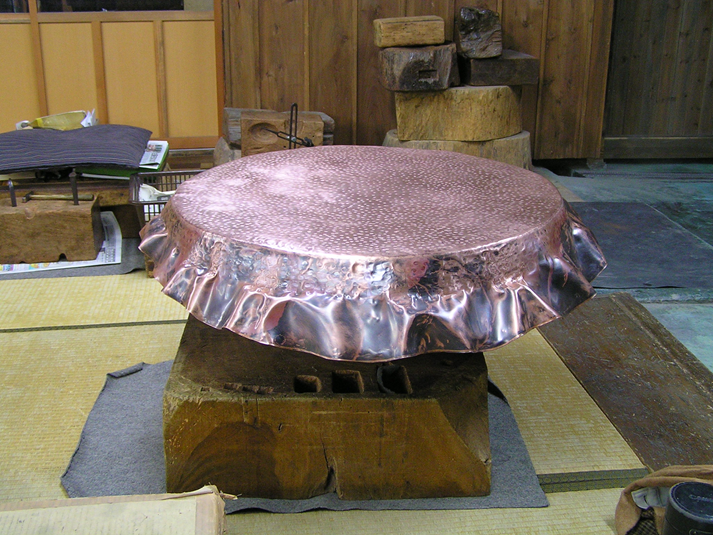 Gyokusendo is a copperware manufacturer with 200 years of history. 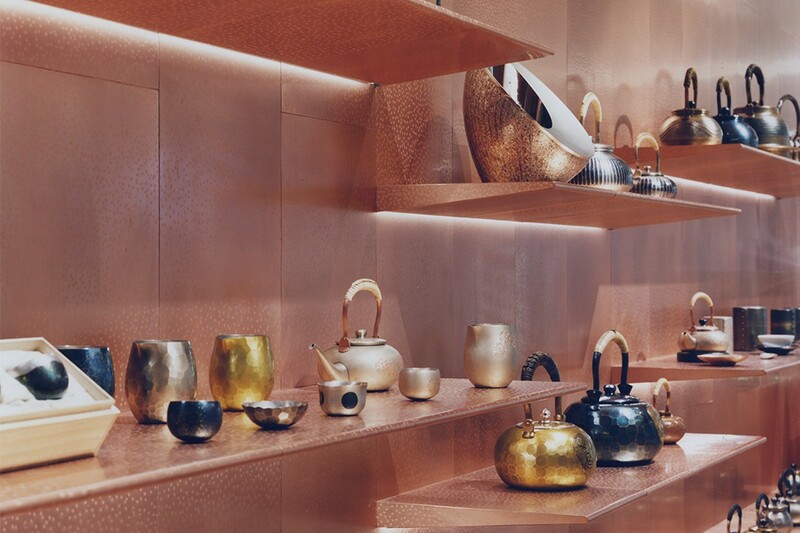 Based in the town of Tsubame in Niigata prefecture, their craftsmen take a sheet of copper and delicately hammering and beating their way to creating beautiful pieces of tableware and kitchenware. 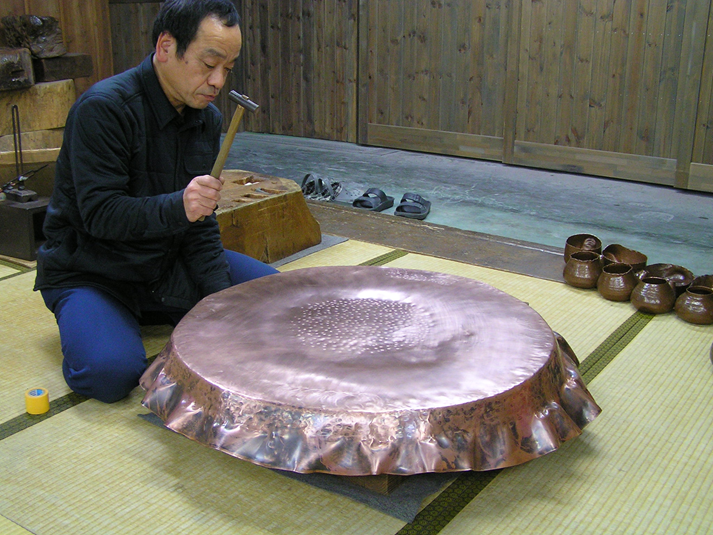 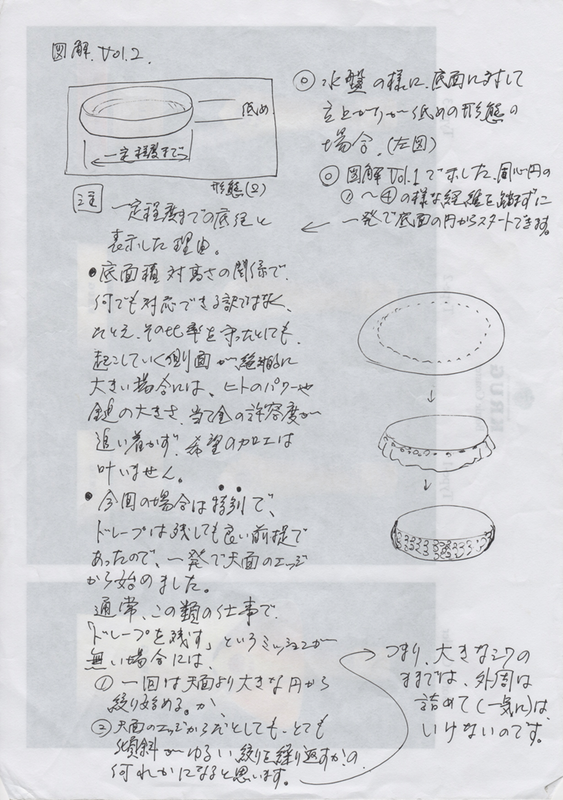 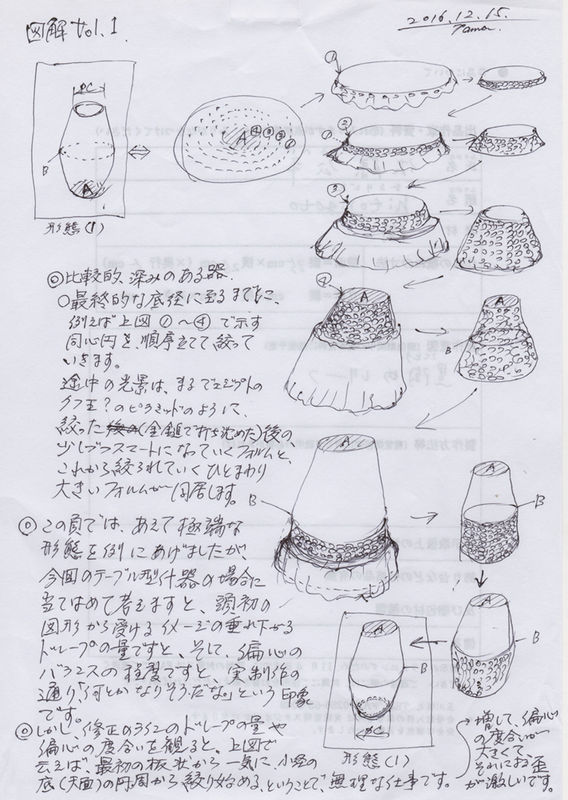 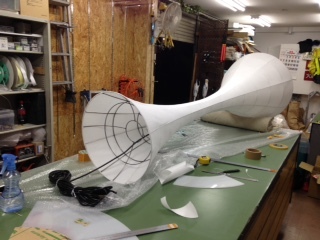 Their practice and technique has been chosen as Intangible Cultural Property by Japan’s Agency for Cultural Affairs. 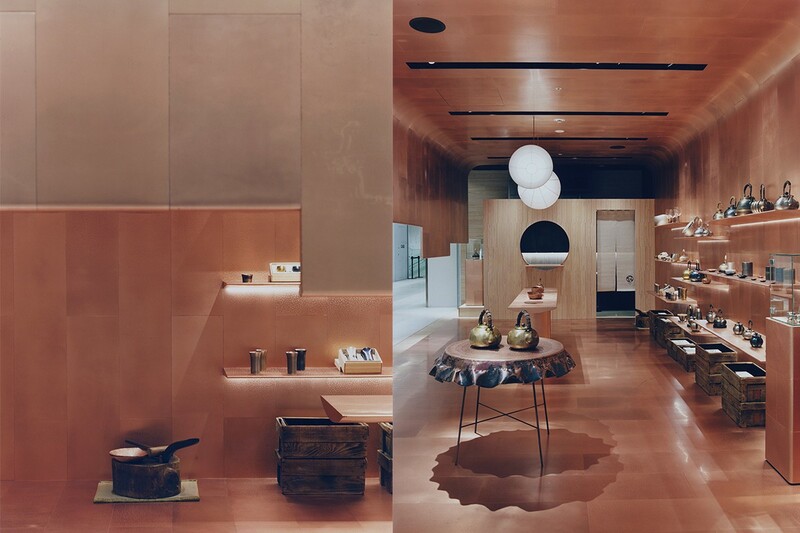 DAIKEI MILLS was asked to design their new store to be opened in Ginza Six – Tokyo’s latest iconic shopping complex. 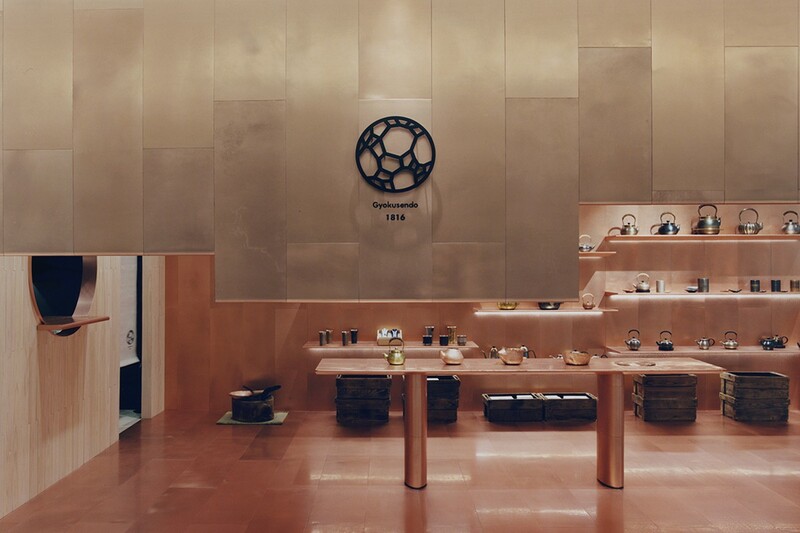 Since Ginza is Tokyo’s primal high-end shopping area, and the ambition of Ginza Six project being to cater to those discerning shoppers from around the world, the client’s request was to create a store that is iconic enough to serve as a flagship to spread their unique craftsmanship beyond Japan. 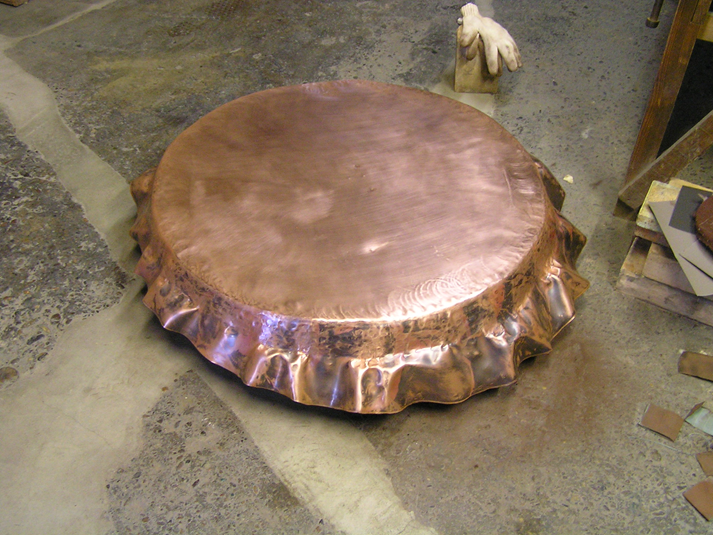 From the outset, an important theme for this project seemed to be to create “a space that feels real.” Since the entire power and beauty of the craft came from such a tangible, hand-made process, the thought of forcibly “designing” something that didn’t come from that daily reality felt superficial. 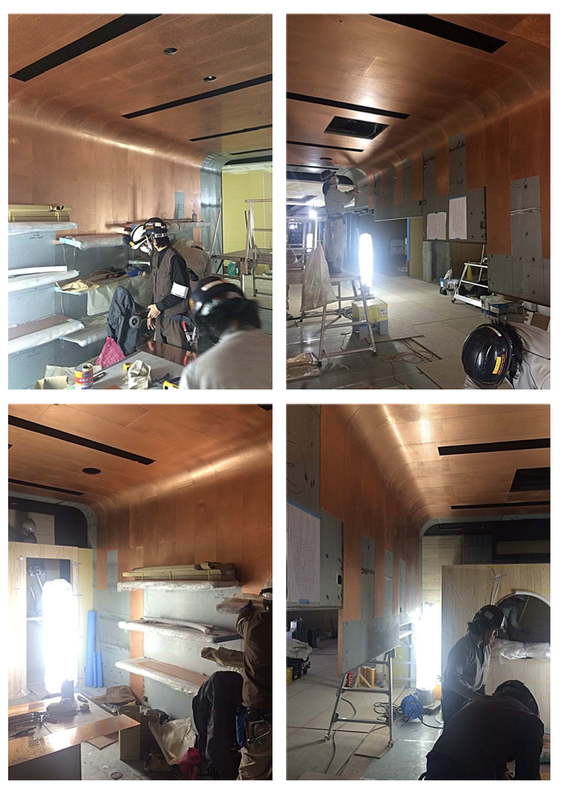 The development and building of the store was very much a collaborative process between DAIKEI MILLS, Gyokusendo,JTQ and D.Brain (the contractor). 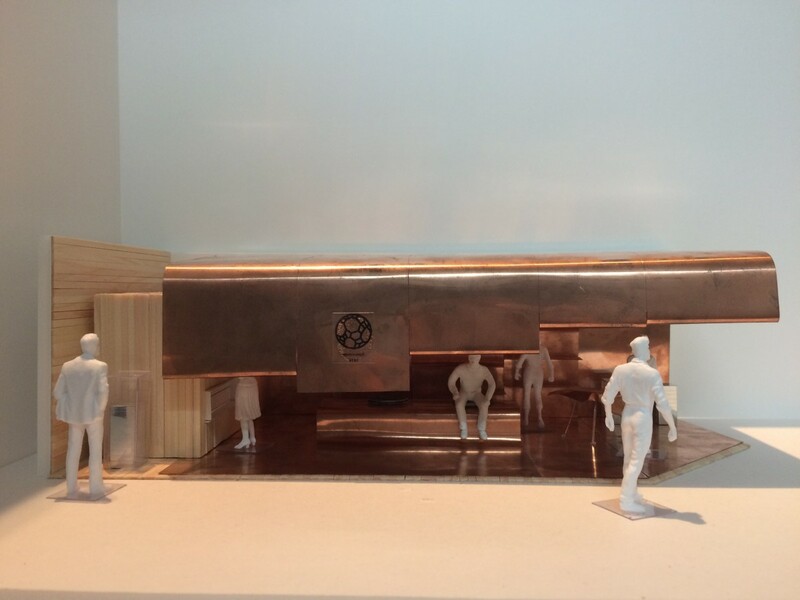 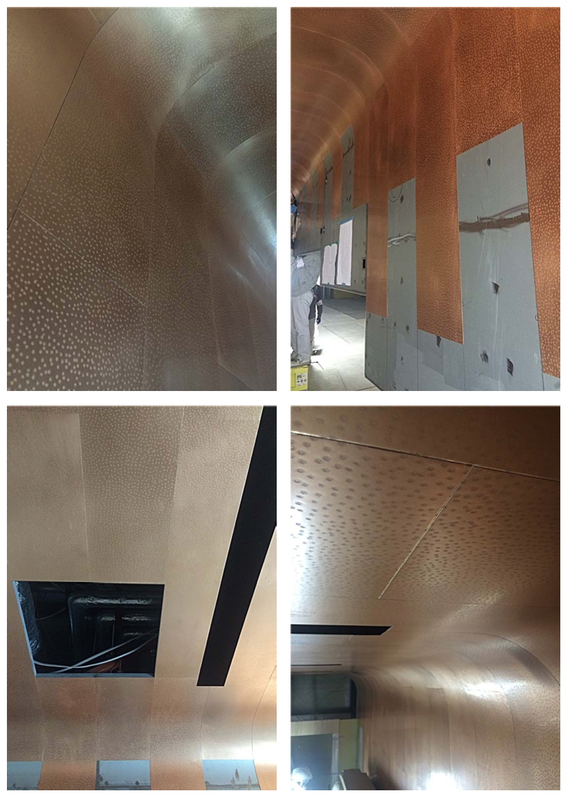 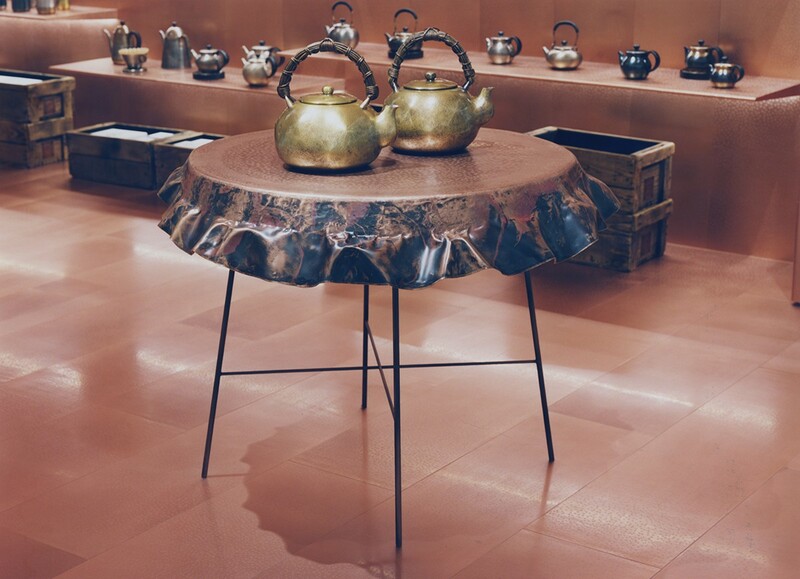 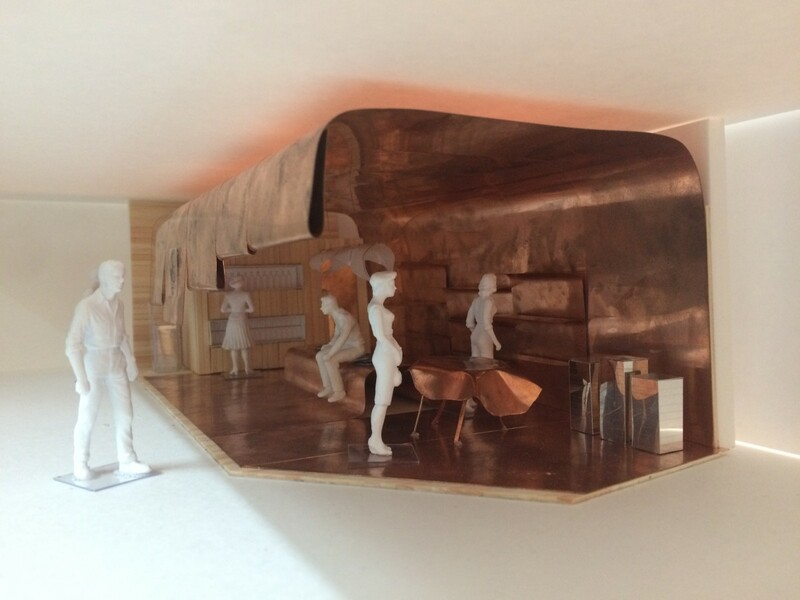 Out of such environment the idea to create a space which literally put the visitors “inside a Gyokusendo piece” was developed, which meant using the hand-hammered copper in abundance. 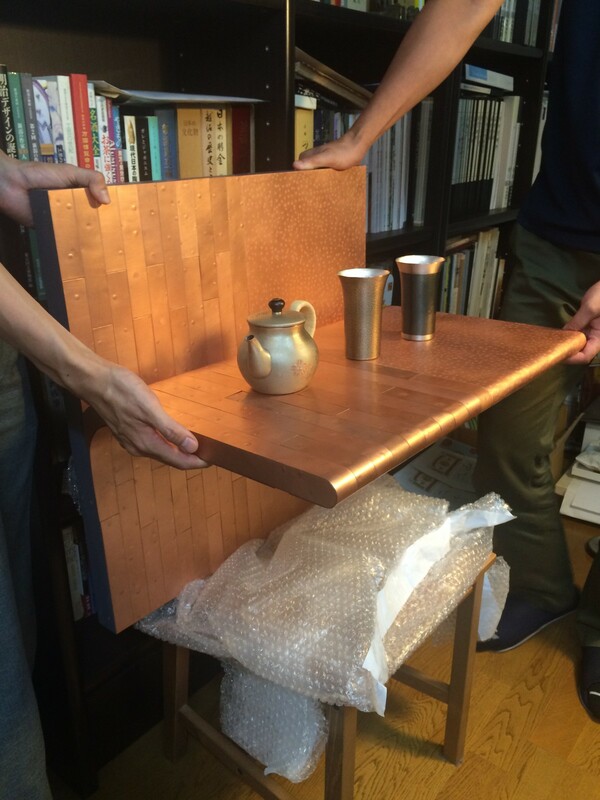 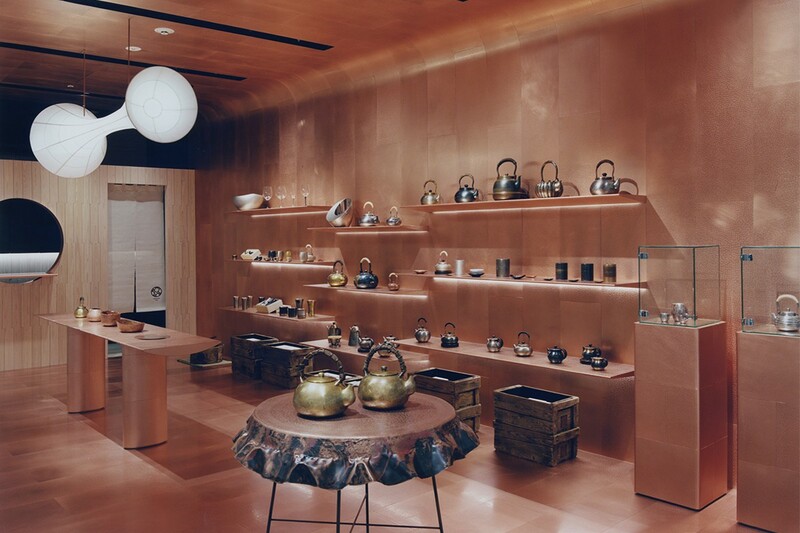 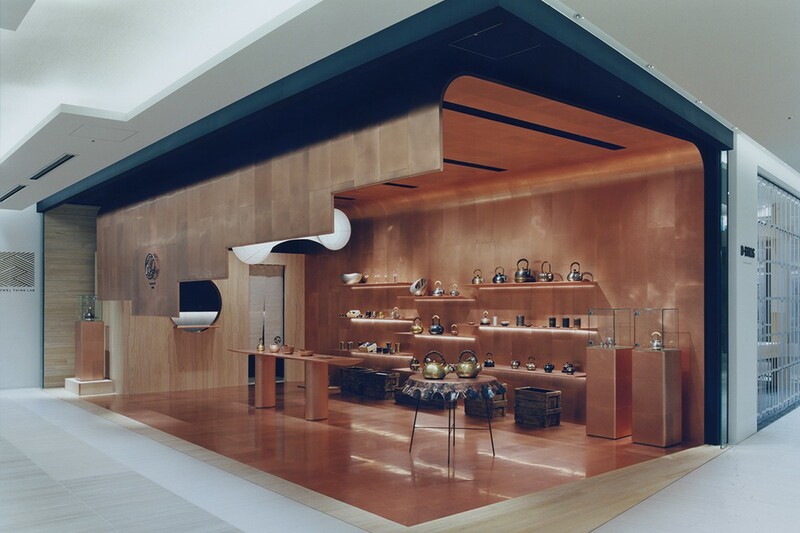 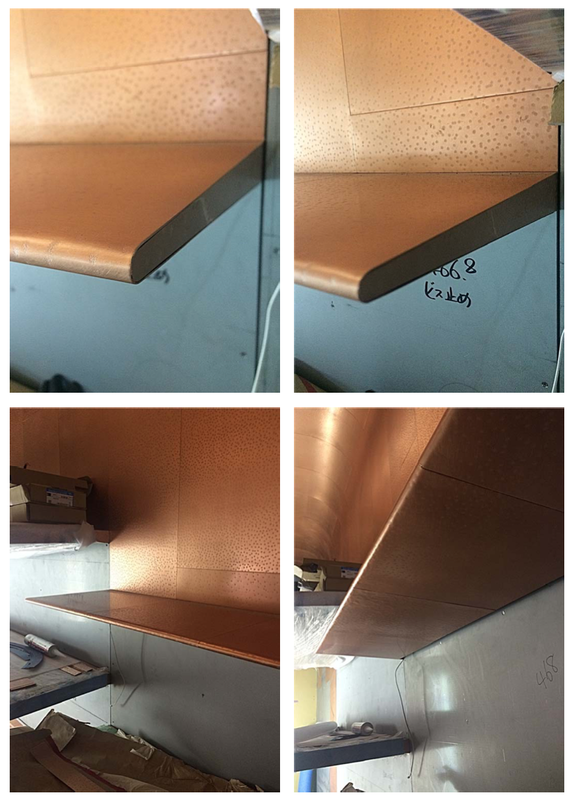 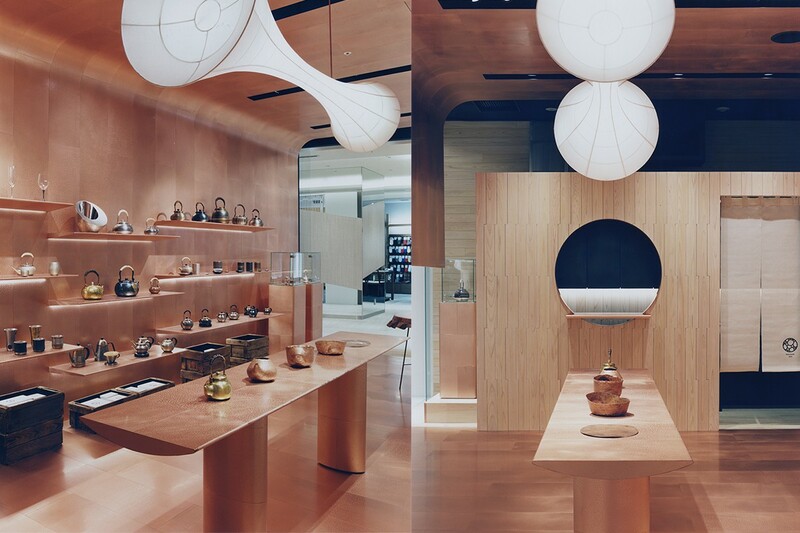 Every piece of copper that makes up the store – roof, wall, ceiling and shelves to tables – were made by 21 artisans of Gyokusendo over 12 months, and their names are to be found on individually panel pieces. 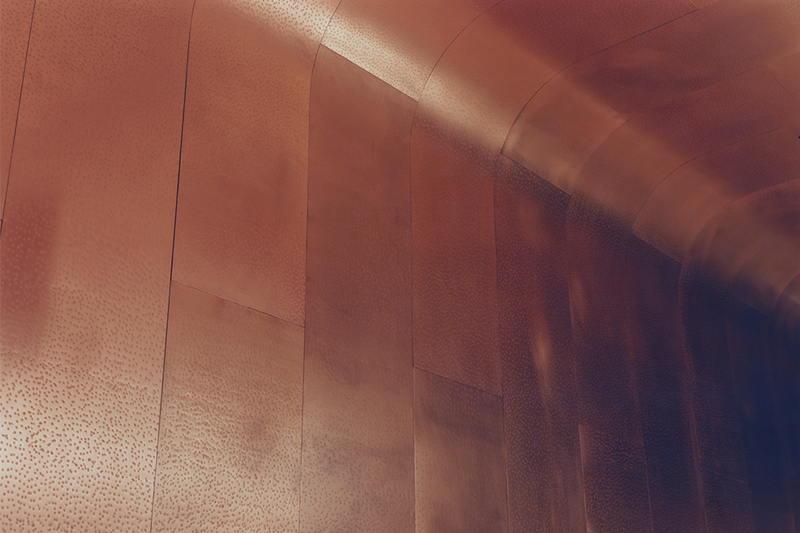 The collaborative process led to the discovery of a very simple theme, and this simple theme allowed us to focus on developing truthful details. 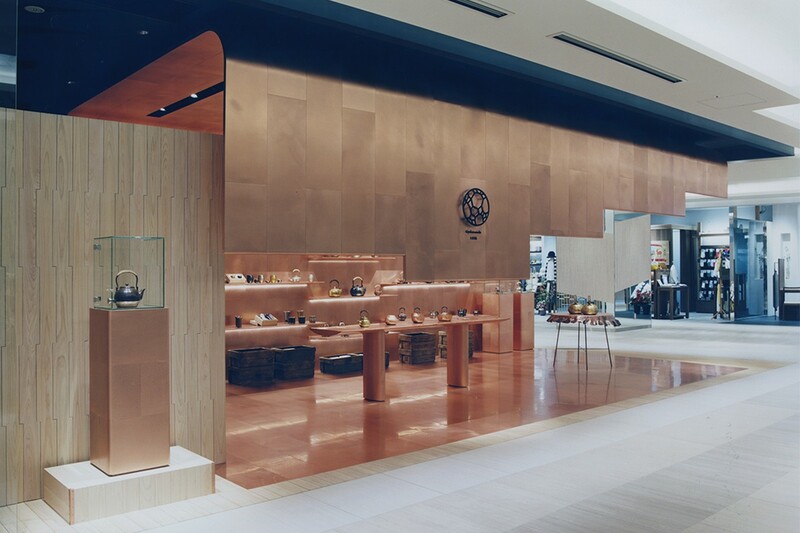 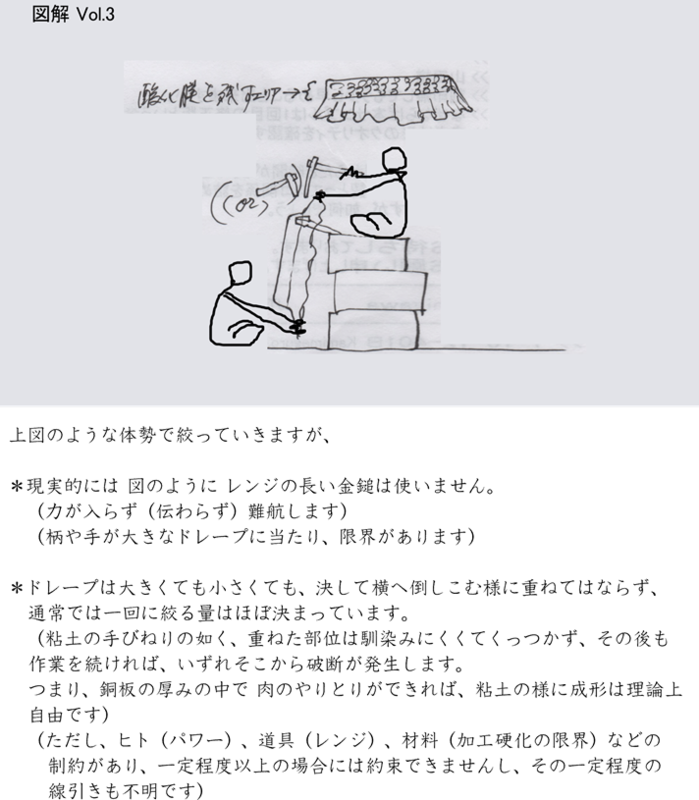 Every detail of the store tells the story of the brand, demonstrating the brand’s strong truth.